A car barrels through a red light, but the Lincoln MKZ leading the cross traffic doesn’t T-bone it. In fact, the Lincoln never enters the intersection. It gradually slows down and yields to the law-breaking vehicle with time to spare. A car is stopped dead in the road around a blind curve, but the Kia Soul that comes up behind it doesn’t rear-end it. The Kia doesn’t even brake hard. It gently comes to a stop before its passengers even register the obstacle. Both scenarios are as noteworthy for what didn’t happen as they are for what did. The Lincoln and the Kia are connected and automated research vehicles—self-driving cars that can make decisions about how to behave based on communication with other vehicles and the infrastructure around them. 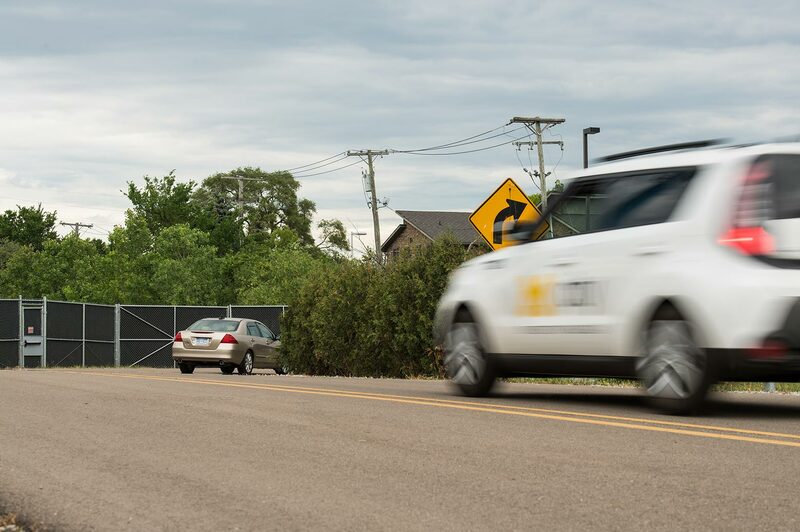 Recently at the University of Michigan’s Mcity Test Facility, they were part of a series of demonstrations that illustrated the key role connected technology can play in harnessing the safety benefits that self-driving vehicles promise. 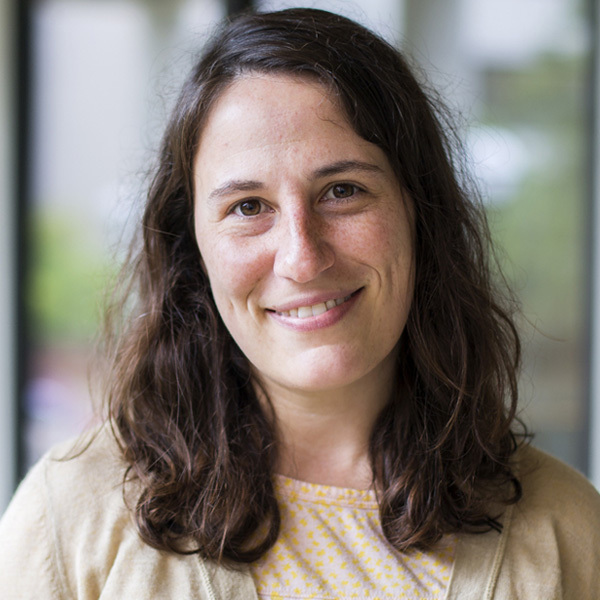 “We believe connectivity and automation together offer the greatest potential to make vehicles safer, as well as reduce fuel use and increase access to transportation to those with few or no options today,” said Carrie Morton, deputy director of Mcity, a U-M-led public-private partnership working to advance next-generation mobility. In a typical driverless vehicle prototype, cameras, lidar and radar devices serve as “eyes.” But these sensors can’t detect obstacles beyond their line of sight—like the stopped car behind the blind curve, for example. Connected technology changes that. Through vehicle-to-vehicle communication, or V2V, cars can wirelessly and securely share data about their location, direction and speed at the rate of 10 messages per second, using Dedicated Short Range Communications, or DSRC. In 2016, the U.S. Department of Transportation proposed a rule that would enable V2V communication technology on all new light-duty vehicles. It could be approved late in 2017 and affect vehicles around model year 2020. In addition to the Lincoln and Kia demos, Mcity leaders unveiled a unique new augmented reality capability that can fill the Mcity Test Facility with virtual background traffic. The real and virtual vehicles at Mcity can communicate with one another using connected vehicle technology. And they can react to each other in real time. 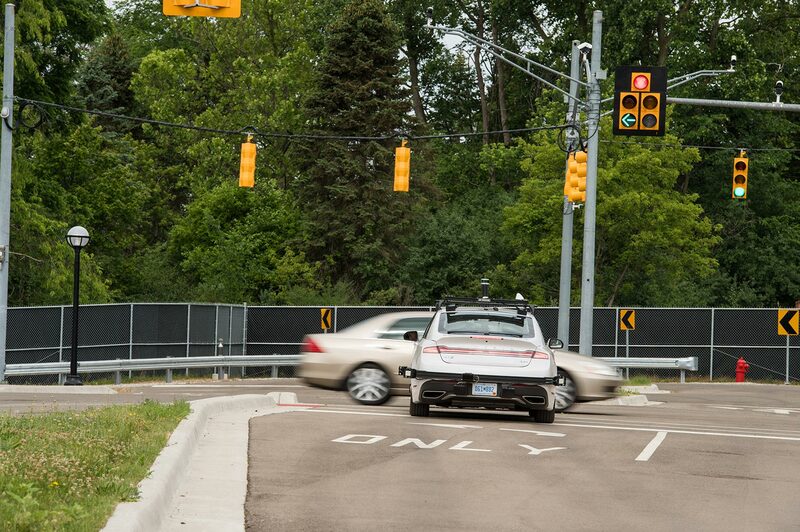 The test facility is 32 acres of simulated urban and suburban environment where researchers can test potentially dangerous scenarios that self-driving cars must master before they’re road-ready. 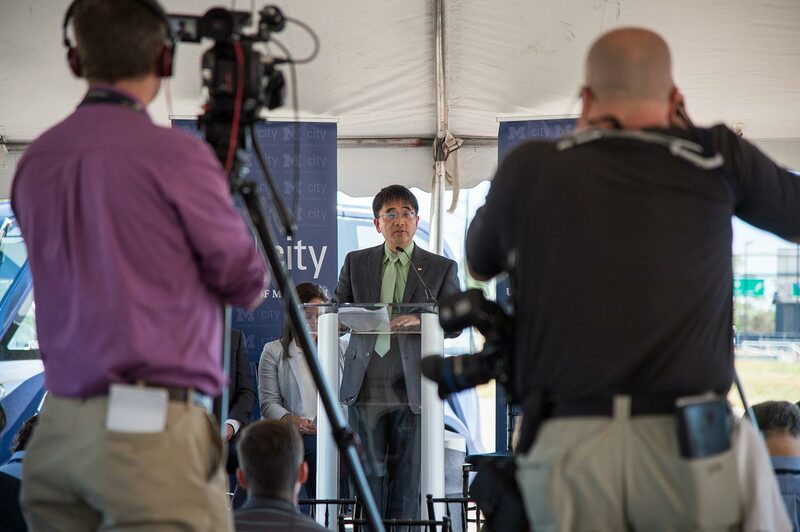 It’s one of three key initiatives of the Mcity public-private partnership, which also funds research projects and develops on-road connected and automated vehicle deployments. Since opening the facility in 2015, the Mcity partnership has grown to more than 65 industry members, and the capabilities of the proving ground have expanded. 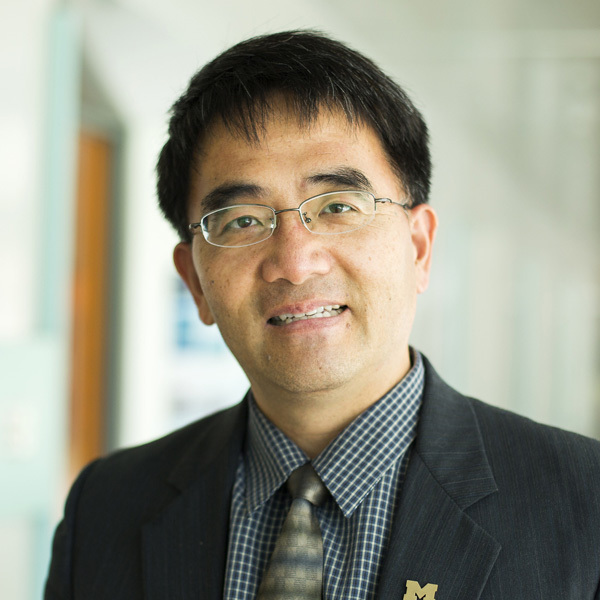 “In the last year, we’ve added infrastructure connectivity, the ability to use augmented reality to create a more robust testing environment, and the Michigan Traffic Lab, which is Mcity’s traffic control center,” said Mcity Director Huei Peng, who is the Roger L. McCarthy Professor of Mechanical Engineering. 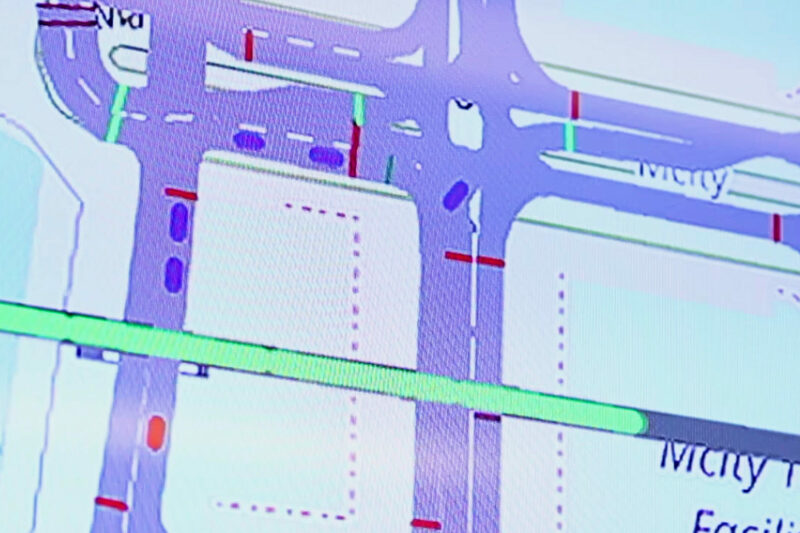 Peng led the Lincoln demo, which involved vehicle-to-infrastructure communication, as well as vehicle-to-vehicle communication and augmented reality technology. He utilized Mcity’s unique Lincoln Open CAV, which stands for Connected and Automated Vehicle. It’s an open-source, adaptive, non-proprietary platform that lets researchers from academia and industry test new technologies. In the demo, the Lincoln stopped at a red light, having learned the status of the traffic signal through vehicle-to-infrastructure communication, rather than through a camera. It’s possible for a typical automated vehicle to use a sensor to determine whether the light is red, green or yellow. But connected technology adds redundancy, which can be important if, for example, the sun makes it hard to detect the color of the traffic signal. The Lincoln also stopped at a green light, having used vehicle-to-vehicle communication to correctly glean that a car in the cross-traffic was not slowing down enough to stop at the intersection. And through the augmented reality capability, the Lincoln yielded to virtual traffic, including a simulated train at the Mcity railroad crossing. Augmented reality solves a challenge that’s been present at Mcity from the start, said Henry Liu, director of the Center for Connected and Automated Transportation, a federally-funded regional transportation center led by U-M to explore how communities can best transition to advanced mobility vehicles. 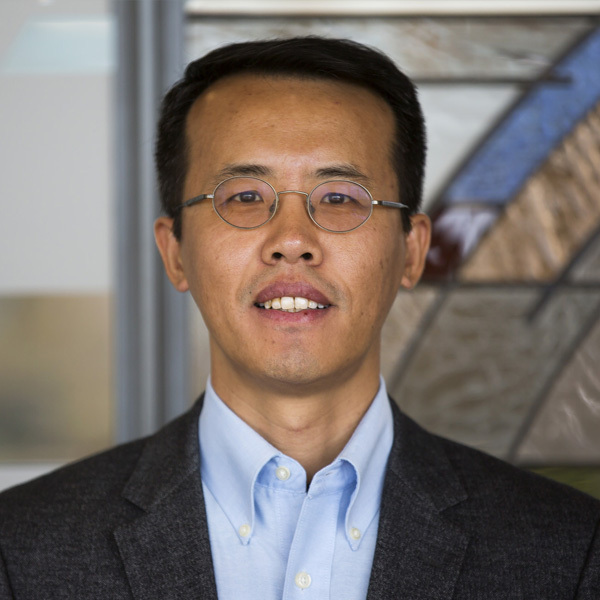 Liu is also professor of civil and environmental engineering, and research professor at the U-M Transportation Research Institute. That challenge is how to populate the test facility with enough traffic for realistic testing. It isn’t feasible to bring in enough actual cars, so Liu developed the augmented reality approach. He has applied for a patent on the technology, which allows virtual vehicles to communicate with physical vehicles through standard vehicle-to-vehicle channels, sharing messages about their speed, location and direction. Researchers in real cars on the road at the Mcity Test Facility can view augmented reality displays in their vehicles. They can also program it and view it in the Michigan Traffic Lab, a high-tech analog to an urban traffic control center. Augmented reality can be used to design and test different scenarios that would be expensive, unsafe or difficult to coordinate in the real world. It can serve as a first step that helps fine-tune control parameters before involving a lot of real vehicles. Before consumers will accept them, researchers say connected and automated vehicles will need to log the equivalent of billions of miles of driving, and through countless dangerous scenarios. To push this process forward, Peng developed an additional, separate accelerated vehicle testing approach, tapping into data from 25 million miles of real-world driving. 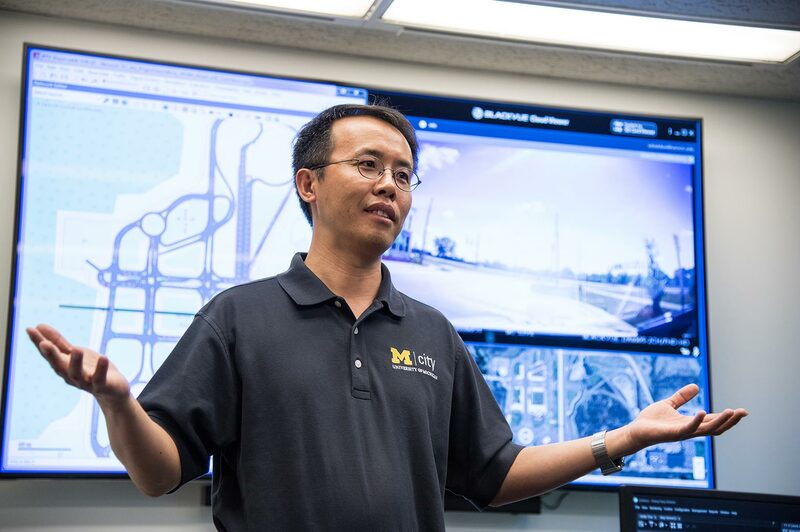 The data came from the Ann Arbor Connected Vehicle Test Environment, one of the world’s largest operational, real-world deployments of connected vehicles and infrastructure. Thousands of vehicles across the city are communicating with one another and wired infrastructure right now in this pilot program.